The world of Terra consists one of large supercontinent called Rodinia. Rodinia is divided in 7 kingdoms, each governed by a king, queen, emperor, sheikh or whatever: Atsushi, Brynner, Caolan, Dulcea, Espen, Firuz and Guang. Ever since the dawn of man the world of Terra has been plagued by the supernatural; demons, undead, shape shifters and monsters have terrorized the dominion of man for as long as history could recount. But the resourcefulness of man had always been enough to keep these dangers at bay and allow them to prosper. Through magic and technology they were given a fighting chance, but the illusion of security came crashing down when Dulcea fell. Dulcea was located in the exact center of Rodinia and was always known as the nexus between the world of man and the realm of demons. The citizens of Rodinia bore witness to the greatest assault ever by demons on humans. An army several times the size of Dulceaâ€™s entered Rodinia through a Hellgate and laid siege on Dulcea. Every village, town or city on their path was plundered and razed, every person they met was put two the sword and before long everything but the capital city of Dulcea was destroyed. When the capital and the royal familyâ€™s castle was under attack the vast majority of the Dulcean army put up their last stand in other to eliminate the demons. Sadly they were unable to stop the demonic onslaught and before long the city and the castle were theirs. Before this attack Dulcea had a population of 200 million, but when the demons were done less than half a million had managed to escape. It was the single greatest tragedy in the history of Rodinia and had driven the Dulceans to near extinction. Eight years later the demons still occupy Dulcea, but have made no attempts to attack other countries despite making numerous threats to do as such. Despite the dreary air that has hung around the Rodinia ever since the fall of Dulcea, there is finally hope. The Child of God has appeared and she has promised Rodinia salvation. She has promised to end the demonic reign. Nydia Lancaster, also known as The Priestess, was a young girl who was born without a father and raised to believe that she was the daughter of god himself. She was raised to believe that she was the prophesized child who would drive the demons back to their world. This RP is a Dark Fantasy RP set in the world of Rodinia. When I say Dark Fantasy I mean that the world has been devoid of hope for years, a heavy air of dread has been crushing everyoneâ€™s spirit and the threat of suffering the same fate as Dulcea has prevented the general populace from enjoying their lives. Add that to the fact that even before the Fall many of the countries had problems with civil unrest, social inequality, rebellions and looming threats of war and youâ€™ll get a pretty dreary setting. The last bit of human hope comes in the form of Nydia Lancaster, who despite being the center of attention now that everyoneâ€™s happy that sheâ€™s come along, is shrouded in mystery. The only thing we know is that she has to pray to god at every capital cityâ€™s temple. We have no idea why or what it will do, but she insists that it will save humanity. The problem is that Nydia is a magnet for supernatural activity. The creatures incapable of complex thoughts like monsters or undead are drawn towards her naturally whereas the smarter creatures use this sixth sense to lay traps for her and try and slay her. We will portray a small group of bodyguards tasked with her safety. Some of them may be there out of free will, some might be forced to and others might have hidden agendas, but if there is one thing they share with each other it is their skepticism that this will work out as good as Nydia wants them to believe. Either way they are stuck with her, whether they want to or not. Inhabited by humans. Technological level is similar to feudal Japan. Inhabited by humans. Technological level is similar to Europe during the Middle Ages. Inhabited by Elves. Most technologically advanced area; they possess steam engines and a variety of machines that operate on steam. Inhabited by demons. They possess the technology the Dulceans used to, which is on the same level as Brynner. Inhabited by Dwarves. Their most advanced technological achievement is a boat. Barbarians donâ€™t need anything other than boats. Inhabited by humans. Many of the tribes are nomadic, so their need for technology is non-existent. They make do with their magic. Inhabited by humans. Technological level second only to Caolan. They have steam engines, but arenâ€™t as advanced with the machinery. How far technology has advanced depends on what country you visit, but the entirety of Rodinia is approximately around the level of the medieval era. Some countries have progressed to a steampunk state while some havenâ€™t reached the level of the middle ages just yet. The level of magic in this world is universal. Every person possesses affinity for a certain form of magic and is unable to use any kind of magic they do not possess affinity for, however certain individuals are born with affinity for more than one type of magic, these usually grow up to become magicians. Oneâ€™s eventual mastery of magic is decided entirely by how much effort they put into studying it and mastering it. There is no restriction on what kind of magic a person knows, almost everything is fair game. I say almost just in case there is something I havenâ€™t thought of, but you can work under the assumption that whatever you think of is approved. If youâ€™re really in doubt just ask. Personality: Aurelio has no sense of humor. The loss of his loved one, his home and his country has scarred him to the point that the only true emotion he knows is a quiet fury. Cold, calculating and ruthless, he believes that the end justifies the means and has no qualms stepping over the bodies of those who cross his path to achieve his goals. Magic: Equipment Magic â€“ The power to store weapons and armor in an extradimensional storage and summon it at will. Training: Aurelio has received a small amount of training in magic, which gives him the ability to store several weapons and sets of armor. Abilities: Aurelio has extensive training in various melee weapons and can use them all extremely effectively. His armaments of choice however are a shield and sword, but thanks to his equipment magic he is able to switch them out for whatever loadout suits the situation best. Bio: Aurelio was the crown prince of Dulcea before the Fall. During his youth he received some training in magic, but extensive training in military matters, combat and academics. He was 17 years old when the Fall happened and his family and fiancÃ©e were killed by Demons. As one of the few survivors of the Fall he lived in Caolan while waiting for his chance to avenge his family. With no valid titles or money to fall back on he lived the years as a mercenary to further hone his skills when one day he heard of Nydia. The girl was a native from Caolan and a guest at the Highlordâ€™s castle. Several ambassadors from various nations assembled at the capital Sheridan to hear what this girl was planning. She revealed that she would be going on a pilgrimage and would visit every single capital to pray at its temple, but she would require aid. Most laughed at this foolish notion and left immediately, but several decided to stay and help Nydia on her journey. Aurelio, the King without a Country, was one of them. Personality: calm, lazy and pracrastinating regularly. Kyouichi considers himself a deep thinker who always makes time to stop and smell the roses. He has little value for titles and class, and treats almost everybody in the same way. Kyouichi is patient and rarely loses his temper, although on the rare occasions that he does, he is a dangerous man to be around. He enjoys the simple things in life and often acts like an old man. Country of Residence: none, he is currently wandering. Magic: Duplication Magic: The power to duplicate items and objects. These objects will disappear after a certain length of time. the number of duplications and the power required is based on size and mass of the object. Training: Kyouichi is trained in a dual sword fighting style and carries two katana. However he has modified this style by using duplication magic to create a multitude of swords for various purposes. Bio: Kyouichi is a member of a sword wielding clan who forge their own swords and develop their own unique fighting style. After the events at Dulcea, his clan was subject to in-fighting which resulted in the clan splitting in two. One side vowed to find power to defeat the encoraching demons before it was too late. The others decided to help their people by forging arms for the military. And so his clans were split into warriors and blacksmiths. Kyouichi has cast off his clans name, and wanders alone across the continent as a hired sword. He claims to only want the quiet life, and is looking for the means to retire somewhere quiet and peaceful. The only way he knows how to make coin is by the sword, and so that is what he does. While patient and calm, Kyouichi is ultimately a mercenary, he is not without honour. He wishes no harm on the innocent and would never knowingly draw blade against them. Age: 22 in human years? Personality: Aims to please, mild mannered. Prefers to let her arrows do the talking. Magic: Calm â€“ The power to dispel the aggressiveness of any person or being, disrupting their attention for a couple of seconds. Training: Anya has a gift for archery. Her preference for ranged weapons has caused her to invest heavily into archery training, and she ended up being less deft with magics. Abilities: Quick footed, sharp eyesight, fast reflexes. Pretty much all the abilities you'd expect an experienced sharpshooter to have. Bio: After seeing the disaster and unrest that has befallen her and her neighboring kingdoms, Anya has decided to stop hiding in fear and step out when Nydia Lancaster emerged and gave her the little bit of hope she needed. As a random plebeian who has suddenly been entrusted with such an important duty, the burden does feel extra heavy on her little elf shoulders. However, the elf's determined to keep that flicker of hope Nydia has promised burning. Weapon: Hollow steel bow, which has been enhanced with superior Caolan technology. (Haha) Small add-ons give her arrows the extra Oomph in speed and power. One generic, sheathed dagger is strapped on her hip for melee situations. Tanned skin and taut muscles. Though he covers his head a lot of the time in the fashion of Firuz, underneath he has long braided hair, thick and chestnut brown. His narrow eyes are distinctive and pale green, the pupils rimmed with gold. He stands at 6'3" and is quite imposing. Personality: As fiery as his magic. A determined man who does not stop until his goals are met. He tends to lose sight of things beyond his goals, as well, a tunnel vision that can endanger others in his party if they do not aid in furthering his goal. He's not overly talkative, preferring to let his actions do the speaking, but he isn't afraid to speak his mind if he feels those in charge are idiots. On that note, he is conditioned to do the following despite his potential for good leadership; he prefers the freedom of not being in charge of others. He is not afraid to take risks. Country of Residence: Firuz, technically, though he is now traveling to find work. Magic: Pyrokinesis. Though he is powerful enough to generate fire from the air, it is still a thousand times easier for him to manipulate fire that's already set by conventional means. Training: Typical of his people, Shahin is very well-versed when it comes to magic, and his abilities manifested when he was still a toddler, thus allowing him to hone his magical skills early on. Abilities: Besides his skill with fire magic, Shahin is a fairly balanced fighter (though with more agility than brawn). He has a long scimitar given to him by his father, in addition to a shorter sword for more up-close fights. Hunting was typical in his nomadic tribe, and so he learned valuable skills like stealth and ambush. When he was older, he trained in martial arts to help combat enemy tribes. Bio: Shahin is a half-blood child of a nomadic tribe leader. His father was of a long and noble Firuz lineage, while his mother was from a farming family of Guang origin. Shahin's tribe made their home along the border of the two nations. Much like the others, Shahin makes a living as a mercenary, hiring out his skills for uneventful jobs. He does not swear any allegiance to any nation, not even to Firuz. As a nomad and a "prince" of his tribe, he only swore allegiance to the tribe. However, it is no longer in existence, decimated by a war when he was twenty-two. His father was killed, and most of his relatives scattered to the ends of Firuz to make new lives. He tried farming for a bit before finally storming out in search of something more. Personality: Nydiaâ€™s kind, earnest, helpful and talkative, but also an enigma. No one can tell whether is putting up the greatest show of her life or if she is truly benevolent. Regardless of whether it is an act or not the amount of people inspired by Nydiaâ€™s kindness and promises of salvation equal the amount of people wary of her. Magic: Holy Magic â€“ This means various forms offensive spells that directly affect demons and the undead and healing spells that can cure a variety of minor injuries. Training: Nydia has endured training in the art of holy magic for the majority of life, because of this she has become extremely adept at using magic. She did not spend enough time to successfully master it though. Abilities: As mentioned before Nydia is capable of healing minor wounds, which means cuts, bruises, stab wounds and minor fractures. She also has a variety of offensive spells specifically used for demons and undead, but harmless towards any other creature. In order for her to gain new spells she must study Holy Scriptures. Bio: It was foretold that one day the god of Terra would send his child to the realm of man in order to save them from the terror of the demons. So when Nydia was born of a virgin mother everyone around her was convinced that she was the promised child, the bringer of salvation. When the Fall happened it became clear that it would one day be her duty to save Dulcea. Once she was old enough she gathered representatives from the various nations in Sherridan and told them that she had to visit every single one of their temples to gain godâ€™s graces to close the Hellgates once and for all. Many laughed at her, but a group of six lead by a man known as Aurelio Nieves vowed to accompany her on her journey. Appearance: An extremely beautiful, tall and slender human woman with long dark purple dyed hair tied into knot and a sideswept fringe, green and blue mixed colour eyes and an aloof gaze permanently plastered on her face. Personality: Lorelei is extremely smart, ambitious and constantly thirsting after knowledge. Add her manipulative tendencies and her willingness use all the assets available to her to get someone to do her bidding and youâ€™ll get why sheâ€™s known as an alluring enchantress. Magic: Ice Magic â€“ The ability to create and manipulate ice in its various forms. Light Magic â€“ Lorelei is capable of bending light to her will which in turn affects what others can or canâ€™t see. Barrier Magic â€“ Lorelei can create various barriers. Training: Lorelei is a trained wizard, her entire life has been devoted to learning and mastering the three forms of magic she possesses. 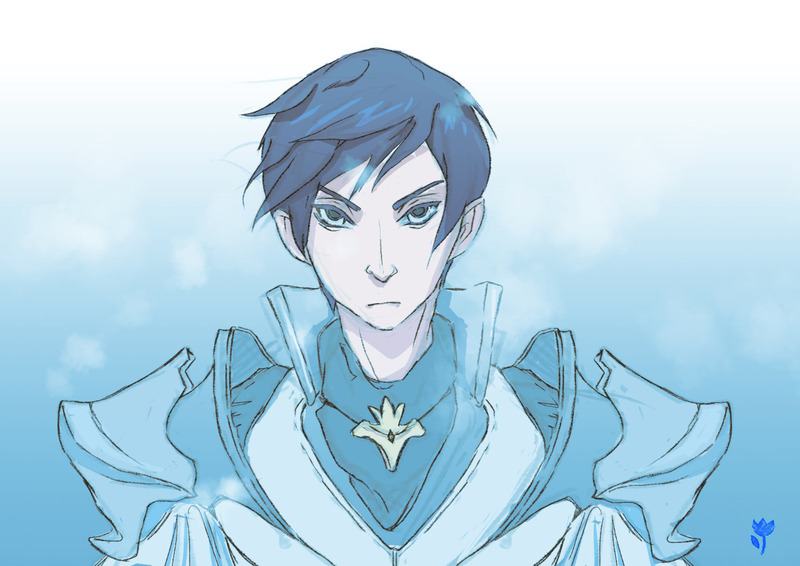 Abilities: Lorelei is a master of ice magic, having spent most of her time on that discipline. Her light and barrier magic are of a high level, but nowhere near mastery. She also possesses a keen intellect, used to analyze information and implement it into new situations extremely quickly. Bio: Shortly after her birth it was determined that Lorelei was gifted with affinity for three different types of magic, which meant that she was destined to become a wizard. She was thrown into the dog-eat-dog world inhabited by countless overly competitive wizards. In order to best them she used every trick in the book. At a young age she was already an accomplished wizard, but there was so much knowledge that still eluded her. Tension between nations made it hard to cross borders freely and stopped her from investigating everything she wanted to. Her salvation came in the form of Nydia Lancaster, but because of a very different reason than most people. International pressure forced every nation to open its borders for Nydia and her companions, which meant that Lorelei would find out everything she ever wanted by following the little delusional girl. Appearance: A plain faced athletic woman with brown eyes and black hair tied into a knot. Personality: Yunfan is quiet, preferring to communicate with gestures over words. Like most Huangese she is a cynic, but the fact that she joined Nydiaâ€™s party shows that she at least has some hope that it will work out as promised. Despite not being as twistedly cruel as many of her companions she does believe that ends justify the means. 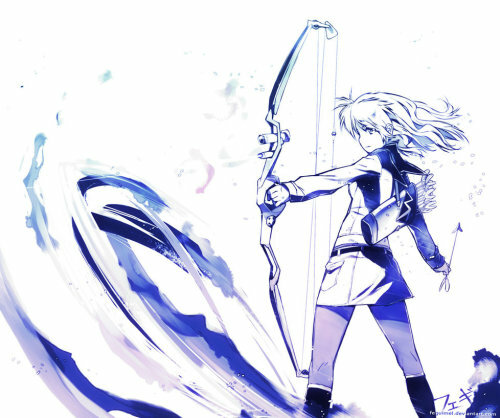 Magic: Tracking Magic â€“ Yunfan can track the movements of anything within the radius of her magic once she activates it. Training: Yunfan received military training and special training in the usage of firearms. Her tracking magic is capable, but not exceptional, but her skill with the musket and the three single-bullet flintlock pistols is unrivaled. Abilities: Yunfanâ€™s tracking magic can cover an area with a radius of about half a mile around her, keeping up this magic does drain her so she cannot keep it up permanently. Her skill with firearms is the best in Huang, she is rumored to be able to shoot the head off a flying bird and reload a flintlock pistol in less than ten seconds. Bio: Yunfan comes from a long line of soldiers. Every single person in her family had served in the Huangese army at one point in time. Many of them rose to become very influential generals and officers, but Yunfan never left the rank of a mere foot soldier. She preferred staying in the front lines with her comrades and refused many promotions, but the pressure from her family forced her to eventually succumb and accept a promotion to a higher officer rank on one condition. Before she would accept her promotion she wanted to complete one more mission, one last time in the trenches. The higher-ups were annoyed with Yunfan playing hard-to-get and decided they had the ideal job for someone like her. Sheâ€™d represent Huang as one of Nydiaâ€™s bodyguards. Posting here to show my interest. I'll have to read this over again when my head is less clouded, but it sounds really interesting. Sweet! I'll leave it open for one or two more and then we'll have enough. Posted Nydia's profile in the NPC section and added everyone to the OP. Sorry for the lateness; I work weekends and this is the last weekend before my finals. As fiery as his magic. A determined man who does not stop until his goals are met. He tends to lose sight of things beyond his goals, as well, a tunnel vision that can endanger others in his party if they do not aid in furthering his goal. He's not overly talkative, preferring to let his actions do the speaking, but he isn't afraid to speak his mind if he feels those in charge are idiots. On that note, he is conditioned to do the following despite his potential for good leadership; he prefers the freedom of not being in charge of others. He is not afraid to take risks. Pyrokinesis. Though he is powerful enough to generate fire from the air, it is still a thousand times easier for him to manipulate fire that's already set by conventional means. Typical of his people, Shahin is very well-versed when it comes to magic, and his abilities manifested when he was still a toddler, thus allowing him to hone his magical skills early on. Besides his skill with fire magic, Shahin is a fairly balanced fighter (though with more agility than brawn). He has a long scimitar given to him by his father, in addition to a shorter sword for more up-close fights. Hunting was typical in his nomadic tribe, and so he learned valuable skills like stealth and ambush. 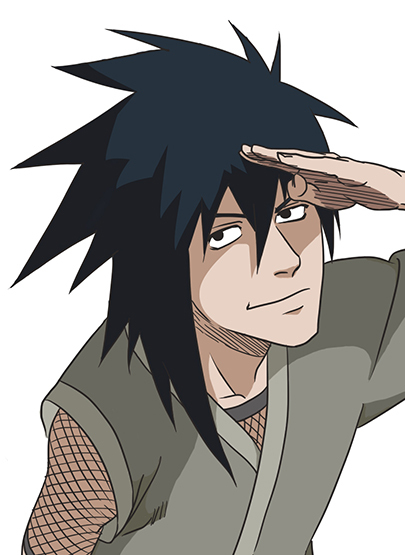 When he was older, he trained in martial arts to help combat enemy tribes. Shahin is a half-blood child of a nomadic tribe leader. His father was of a long and noble Firuz lineage, while his mother was from a farming family of Guang origin. Shahin's tribe made their home along the border of the two nations. Much like the others, Shahin makes a living as a mercenary, hiring out his skills for uneventful jobs. He does not swear any allegiance to any nation, not even to Firuz. As a nomad and a "prince" of his tribe, he only swore allegiance to the tribe. However, it is no longer in existence, decimated by a war when he was twenty-two. His father was killed, and most of his relatives scattered to the ends of Firuz to make new lives. He tried farming for a bit before finally storming out in search of something more. Excellent. I'll post up the RP in the next few hours. Here it is: http://www.surrealit...ic/423-rodinia/. Also, Miel, I added you on Skype. If you accept the friend request I can add you into the chat, should make planning stuff a bit easier. Personality: Yunfan is quiet, preferring to communicate with gestures over words. Like most Guangese she is a cynic, but the fact that she joined Nydiaâ€™s party shows that she at least has some hope that it will work out as promised. Despite not being as twistedly cruel as many of her companions she does believe that ends justify the means. Her skill with firearms is the best in Guang, she is rumored to be able to shoot the head off a flying bird and reload a flintlock pistol in less than ten seconds. Bio: Yunfan comes from a long line of soldiers. Every single person in her family had served in the Guangese army at one point in time. Many of them rose to become very influential generals and officers, but Yunfan never left the rank of a mere foot soldier. The higher-ups were annoyed with Yunfan playing hard-to-get and decided they had the ideal job for someone like her. Sheâ€™d represent Guang as one of Nydiaâ€™s bodyguards. Okay! I'm rarely on Skype but I should probably be better about it. Haha. Edit: ok wow, reading the posts I'm a little lost in regards to all the new NPCs and the relationships between everyone. I guess you guys discussed things on Skype already...? I'm not really sure I'm properly up to speed anymore. Uhh, it's Guang, I typoed and than the name stuck >___> Embarrassing. Also there is no special relation between us, yet. We know of each other (since we all committed to this journey) but we've never hung out or anything. putting this here for now. will edit with a bio once i can think of more than a sentence and a half. Personality: A woman of few words, Amelie keeps mostly to herself unless she's wanted or needed. When it comes to drinks, however, there's no need to even ask. Despite being used to the solitaire life, she is very loyal and is more than pleased to be of any help, supporting or leading. Magic: Awareness Magic, The power of heightened awareness revealing much of the user's surroundings. Amelie can use it on and off with a maximum of half an hour. Training: Much of Amelie's training comes from her father in the art of survival. She picked up a little here and there in other areas but is more familiar with them than skilled. Abilities: Scouting, camoflouge, sneaking, etc. She has a small talent in appraisal as well. Bio: From a young age Amelie was raised and trained by her father, a former treasure hunter of sorts, and elder brother. The family travelled all throughout, never settling in one spot for very long. Her father taught her all she knows about living in "the great wild" and she grew up to be a capable "survivalist". When The Fall came, her father followed a small independent army in their attempted offense to reclaim Dulcea but never returned. In the name of their father, Amelie and her brother vowed to finish what he sought out to do. While her brother enrolled in an army of another kingdom, Amelie lent her skills jobs such as scouting, transportation and small ambushes against the demons. Politics: Clan system. Clans constantly vie for power. Current leader is Orzen, Chief of the Name, of the Faelchon Clan. Geography: Lots of forests, but terrain is relatively flat. At most there are a few hills, but no mountains. Unique creatures: The most obvious ones are the snowmen. Huge carnivorous primates, averaging around 3 meters tall, with snow white fur and light blue eyes. They possess enough physical strength to tear humans in half and tend to hunt in packs of at least 4. Other than that there are some harmless snow fairies, dire wolves and there are rumors of some kind of demonic snake in the waters. Here's the profile for the character we discussed Sean, if when you've read it you want further edits or additions to anything, just let me know. Species: Dryad. Once it was thought that the Dryads were almost as strong in number as the races of man, elf and dwarf. However, over time, through the destruction of their forest homes, the Dryads quickly went into decline. Turning from common held fact, into myth and stories. 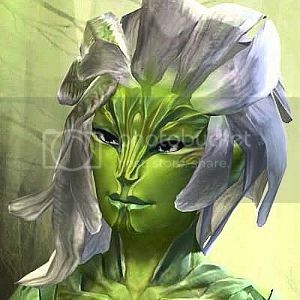 They are a race that have more in common with plants than animals, having sap for blood and a tougher bark-like skin, they are also seemingly genderless. Because of their private nature, they were generally disliked and discriminated against and now it is thought that the race is more or less extinct. Personality: Naive, child-like and whimsical. Ash can be difficult to deal with at the best of times as he does whatever he feels like in the moment. He can be unpredictable and vain, wary of others at first, but it doesn't take much to gain his trust. In spite of his faults, Ash can be reliable at times and considers companionship to be incredibly important. He can be lonely and inside himself, but more often than not is excitable and curious, especially when he is around others. Magic: Like all Dryads, Ash is a shapeshifter. He is able to shift into other people, animals, objects and so on, but is limited by what he has seen. The larger, more powerful or more complex the creature, object, etc. the shorter the span of time he is able to maintain that form. He tends to prefer smaller animals as he is still young by his race's definition and finds it much harder to maintain the form of larger animals without intense concentration. He finds it easiest to remain as a smaller animal/object due to the size, or hide as a different race because of their similar size and shape. Abilities: Aside from his ability to shapeshift, Ash is a capable hand-to-hand fighter. Able to memorize and duplicate the techniques he was taught by his own race, as well as those he might observe, making his fighting style extremely unusual, and difficult to predict or counter. He is able to sustain and regenerate from regular damage, so long as it is not too severe, but unlike the other races he is intolerant of extreme temperature and has an innate fear of fire. Bio: By most races reckoning he is likely quite old, but from his own race's perspective he is still a child, and though intelligent, can act like one. He was brought up like most of his race, in a forest, and spent much of his time there. However, when he was very young, he lost the other members of his extended family when their forest was set ablaze. The only one to walk out of the forest that day, he choose to try and search for other members of his race, but found that he seemed to be the last of his kind. It is unclear what, if anything, he has been doing since that day, but upon encountering the party of travellers, was intrigued in their variety and number, becoming more and more curious and trying to overhear the nature of their quest. He has been following them for an undetermined amount of time, without their knowledge, but that is soon to change.